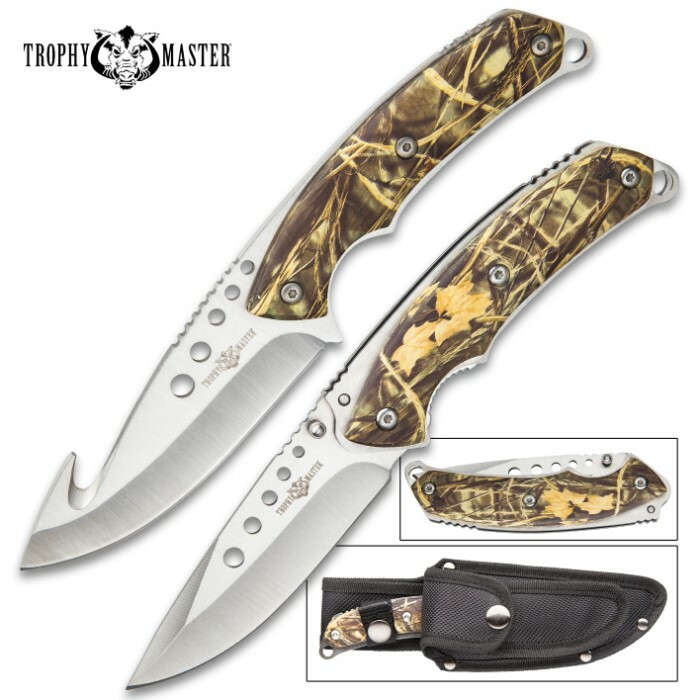 Duck Hunter Duo Knife Set With Sheath - Stainless Steel Blades, TPU Camo Printed Handle Scales, Lanyard Holes | BUDK.com - Knives & Swords At The Lowest Prices! 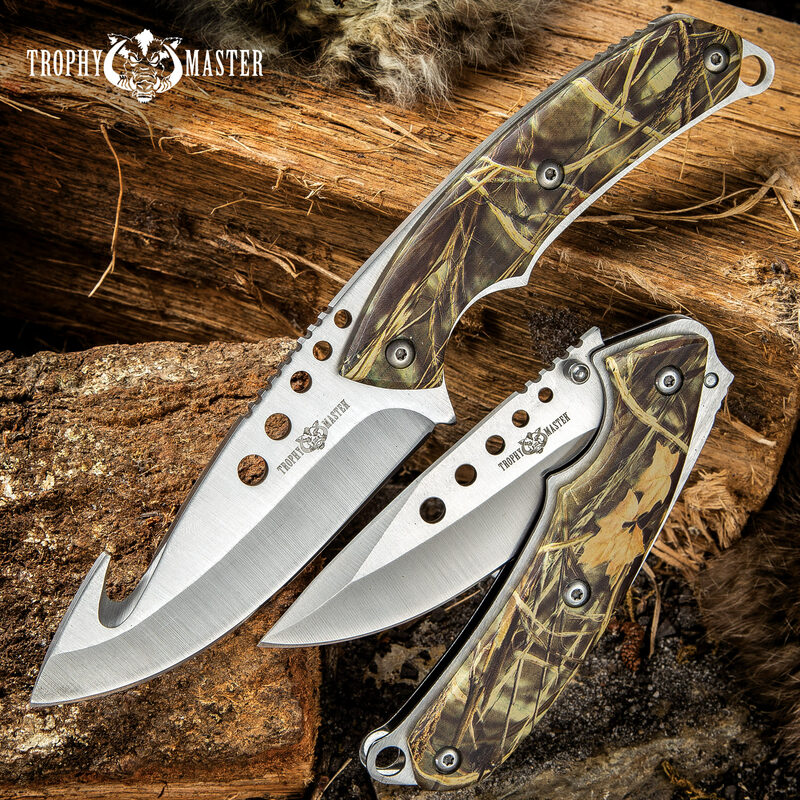 We know you’re looking for that perfect set that you can really count on to perform the variety of tasks you come up against on a day of hunting. 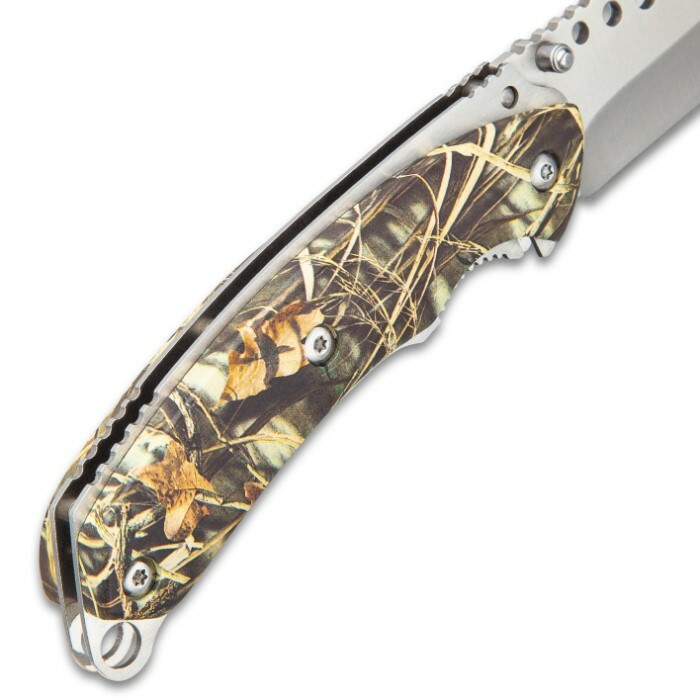 That’s why our Duck Hunter Duo Knife Set includes a tough, full-tang fixed blade knife with a gut hook and a fast opening pocket knife. Each has a razor-sharp stainless steel blade with round through-holes, to reduce weight, and thumb jimping for control. 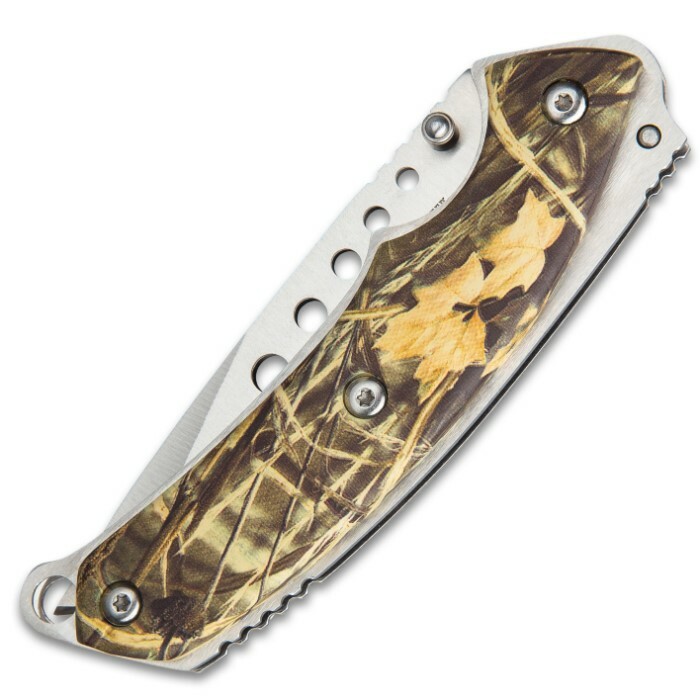 The camo printed TPU handle scales are tightly secured by strong screws and each handle has an ergonomic grip. 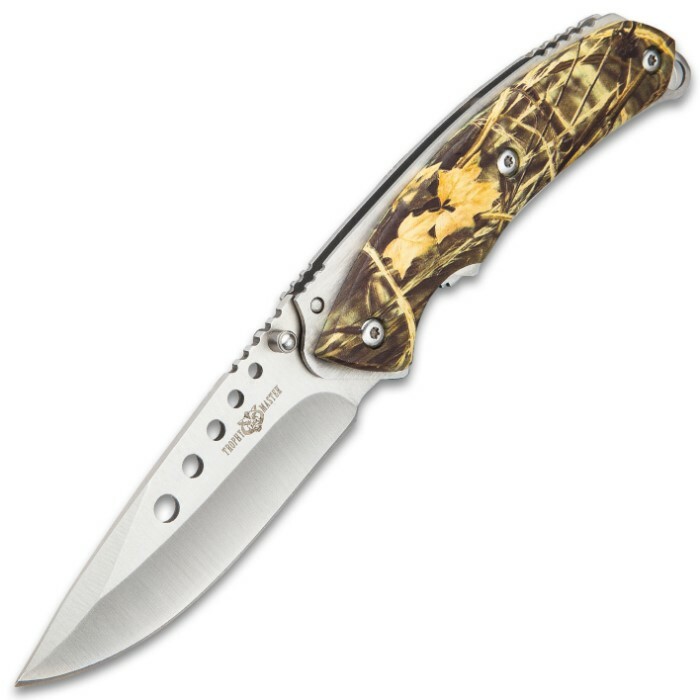 The fixed blade knife has a 4 1/2” blade and the extended end of the tang has a lanyard hole. 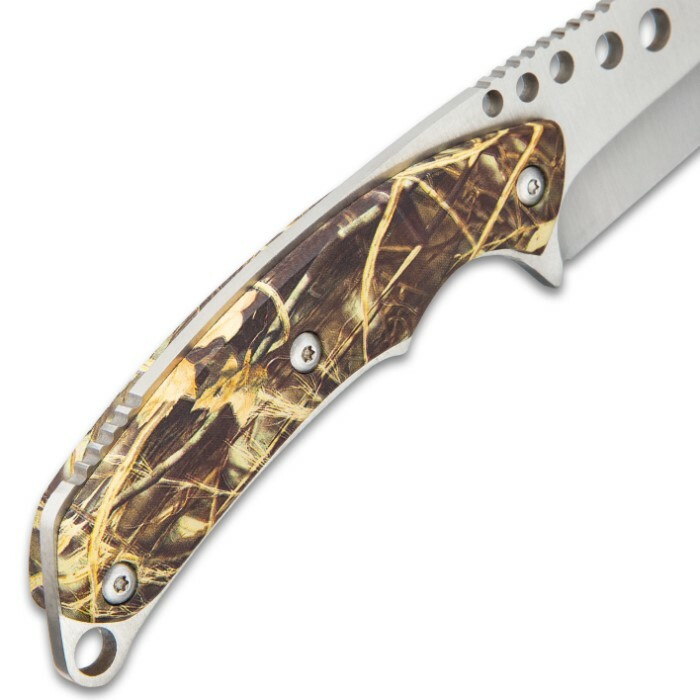 The pocket knife has a 4” blade, which can be smoothly deployed with thumbstuds to access the ball bearing opening. 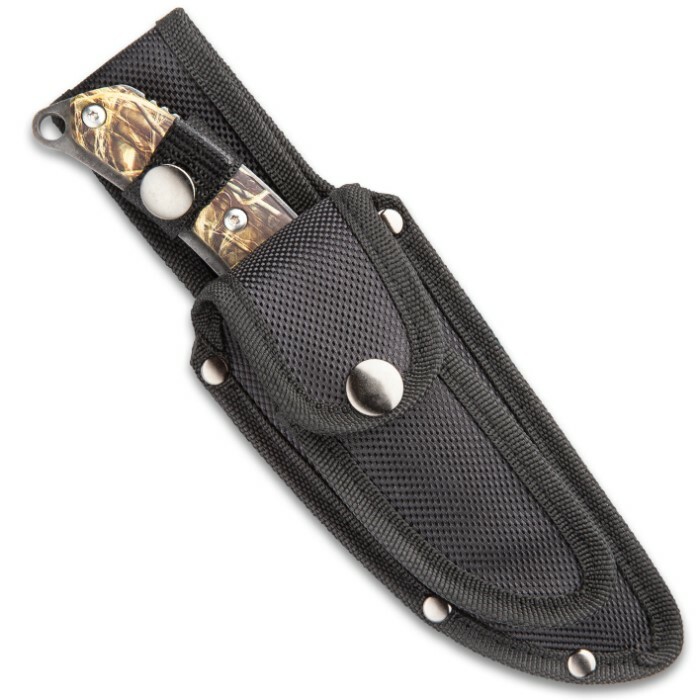 Both the 8 1/2” overall fixed blade and the 4 3/4” closed pocket knife fit securely in a nylon belt sheath with snap closures. as a life long duck hunter I wanted this for a collectors item. I like it.